The day ends with a walk through the garden. oh how i love that rudbeckia! must plant that in my garden for next year. It has such a nice impact in the garden, and long blooming time! I leave it in the garden all Winter for some visual interest–until the snow gets to high! Wow! What a lovely garden! The greenhouse is painted with a color called Pumpkin Stem by Sherwin Williams. 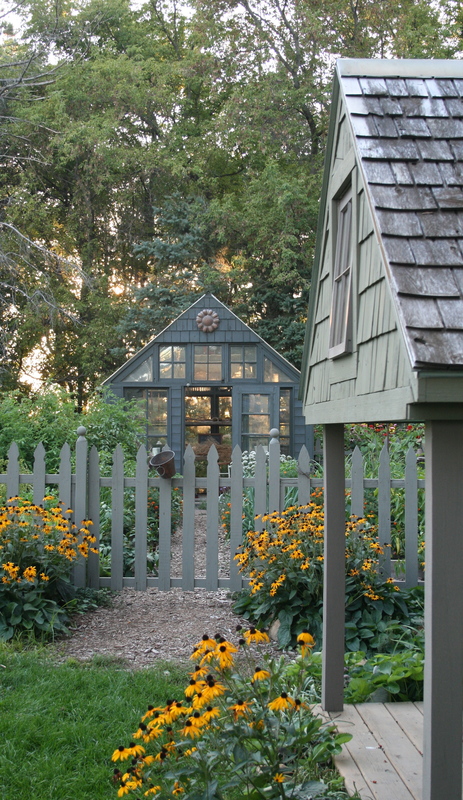 The potting shed is stained in a custom mix color.